Irritable Bowel Syndrome - a natural solution? Do you have IBS (irritable bowel syndrome)? It's a problem associated with the digestive tract, and typical symptoms include bloating of the stomach, griping pains and constipation or diarrhoea. It really affects your quality of life and is very unpleasant. 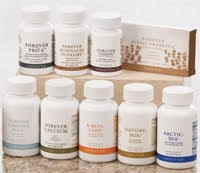 I had irritable bowel syndrome for over 2 years before I found a solution - in the form of Forever's Aloe Vera Gel drink (the one in the yellow tub). 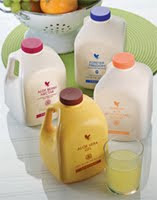 A close friend, Yvonne, had recommended the drink as she had found it helped her energy levels. I was very stressed and worn out at the time due to my job so I gave it a go. Interestingly, I didn't know that it might help the IBS so the results I had weren't down to positive thinking! 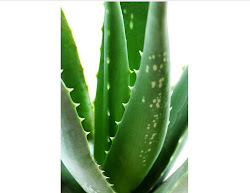 What I didn't know then was that aloe is a natural anti-inflammatory - and as IBS is an inflammatory problem, I found my symptoms (severe bloating and cramps) were almost completely relieved an a very short time (one week actually). The first thing I noticed was that I could easily do my jeans up, so assumed I had somehow lost weight. 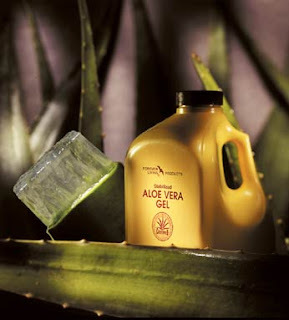 I was so amazed that I did some research to see if it was the aloe drink that had helped me, as I hadn't done anything else different that week. 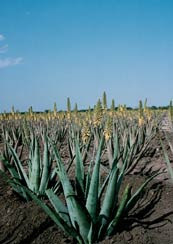 Now, 15 years later, aloe is well known to benefit digestive problems. It gently cleans the whole length of the intestines, removing all the stuff our bodies couldn't digest. 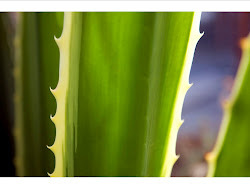 It detoxes and provides us with a whole cocktail of nutrients that are present in aloe. It's natural anti-inflammatory properties mean that problems like Irritable Bowel Syndrome and other problems associated with the digestive tract, may benefit. Always consult your doctor though with any health/medical problem. I like the fact that aloe is all natural and has been used for thousands of years. I know I won't get any side effects as there are none! 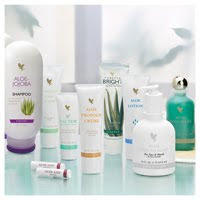 (NOTE: I can only speak about this brand, Forever Living, as it's the one I have used exclusively). Two other products that are worth trying or researching if you have IBS are probiotics and garlic - Forever do these too by the way. Their probiotic doesn't need keeping in the fridge which is handy especially if you are going on holiday, and it's a unique 6-strain blend. I find I only need to take a probiotic about twice a week. We are all different, so you may find you need less or more than me. Their Garlic is blended with Thyme to make the garlic even more effective. It still has the allycin intact which is so important as it is this which makes garlic effective. Many companies remove it because it can make the breath smell, but Forever have coated the capsule in such a way that the allycin doesn't get released till it's in the stomach so it won't affect your breath at all. You can find out more in my online shop, where you can also buy this aloe vera gel drink and it will be delivered swiftly to your door! Something else I recommend is to get an allergy test (homeopathic doctors may be able to do this for you). You will then know if there are certain foods you should be avoiding that could be causing or aggravating the IBS. If you aren't sure if you have IBS make sure you see your doctor in case it's something more serious.